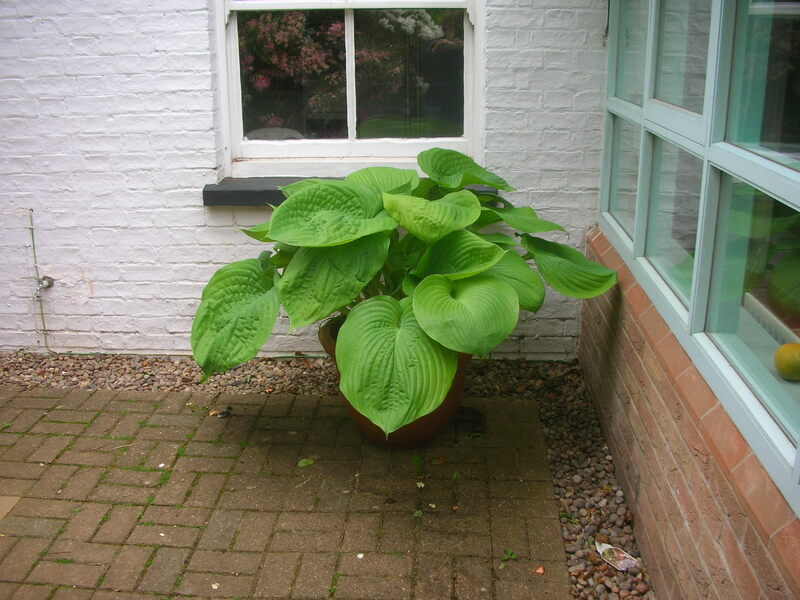 This entry was posted in Uncategorized and tagged giant pot plants, Hosta Sum and Substance, Hostas, shady corners by hilarycustancegreen. Bookmark the permalink. I love plants but my wife don’t want me to touch them. I have enough addictions to cope with. I love your posts on flowers even if I don’t comment much on them. Thank you. I understand completely. I have the same problem, both about how to give everything I love doing a share of my time, and which ones to blog about. Did you read my post about My Teacher’s Pet Awards? Just been there and read the Notes to Ponder post which was really beautifully written. I just want you to remember this. I am building the barricades! 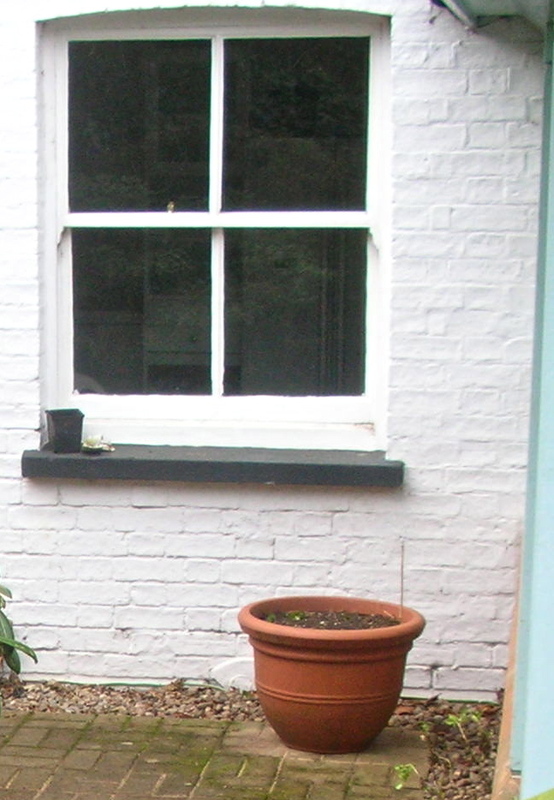 Next year I am expecting it to walk off with the pot. 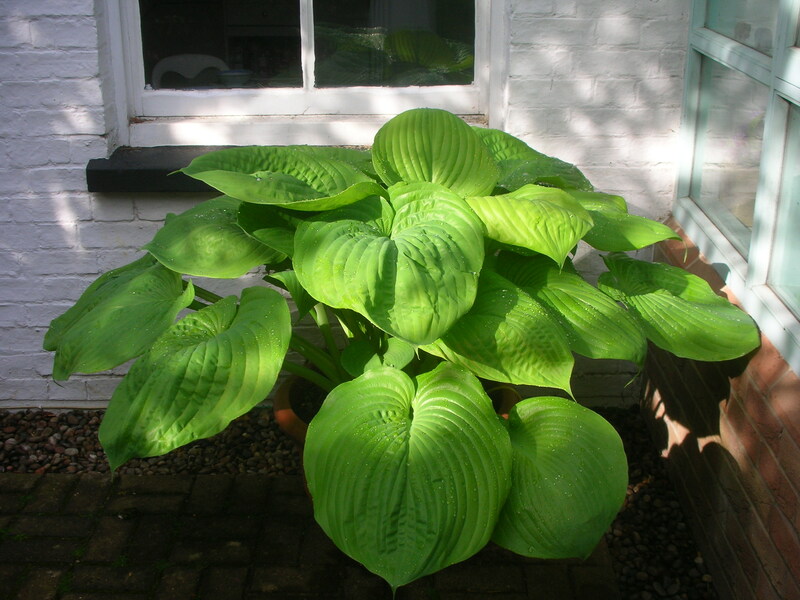 My limited experience with hostas suggests they are much loved as food by slugs and snails. 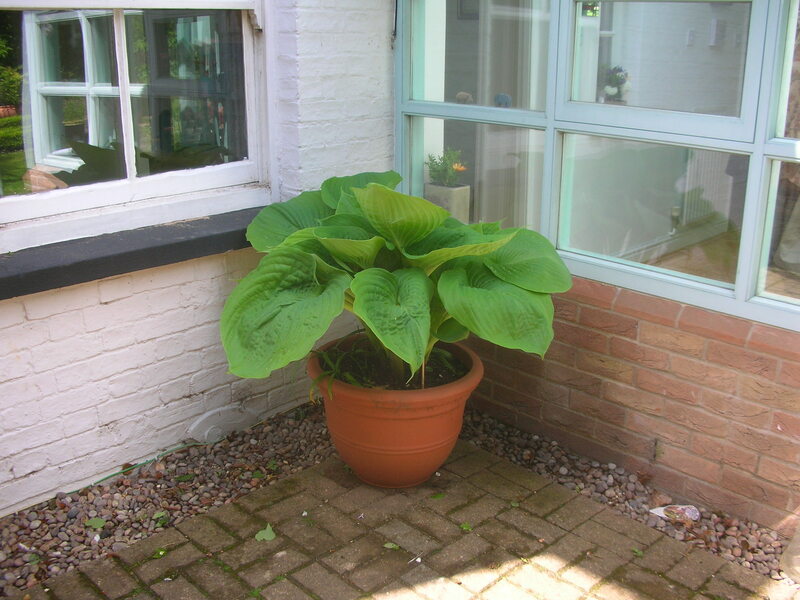 Ah, but you put them in a pot and they are out of reach of the little blighters… until, of course, they grow so big that their leaves trail on the ground. OMG! 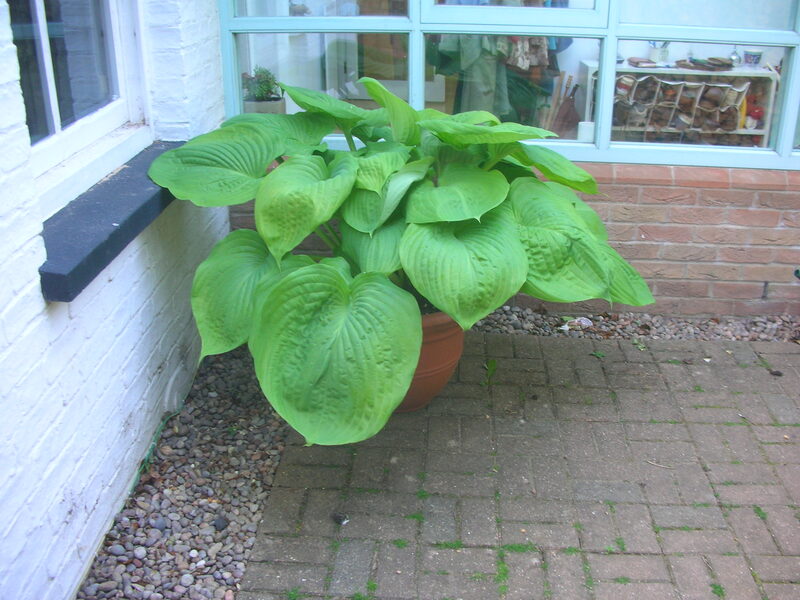 Its a triffid. I wonder what lurks within. We live in the tropics and they don’t grow that well here, Hilary. A monster indeed. 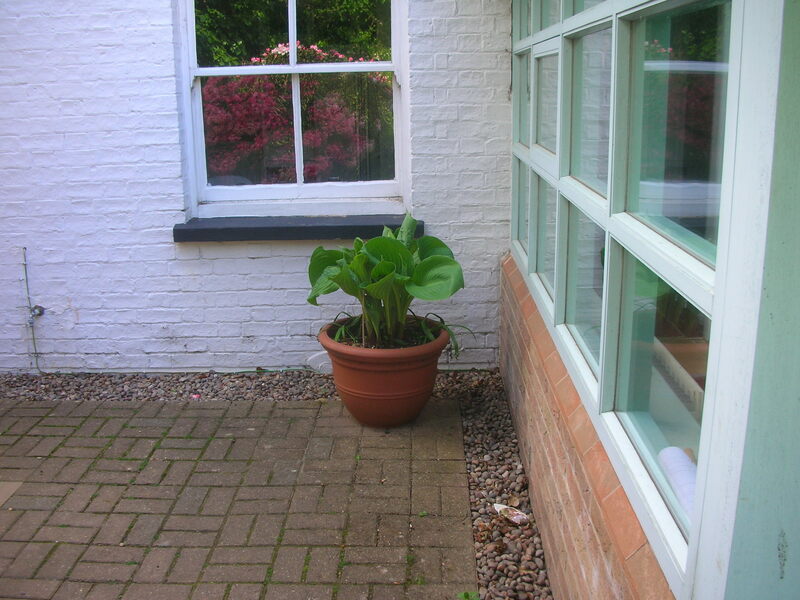 I’ve given it no care or attention for three years and I feel it must run out of food or water or simply root space soon, but I shall probably give in and feed it if it starts to wilt. I guess I can hope for the best..I did not realize how many different ones there are…time will tell. I am a newbie with gardening so I am sure it is going to be interesing! I had to look this up as I never saw the film/musical, but you are probably on the right track and it will demand to be fed as soon as it gets through the kitchen window. 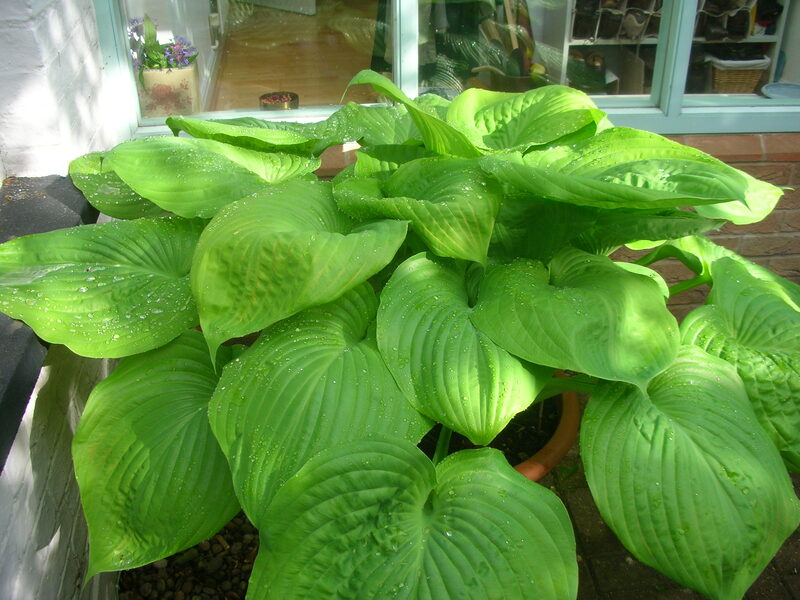 I know, I admire it every day, and when it has rained, the great drops of water on the leaves are stunning, I just hope it doesn’t outgrow the little yard. OMGosh, Hilary!! What green thumbs you have! Isn’t that absolutely phenomenal?!?! Is this shade only? It actually gets quite a lot of sun first thing in the morning, but it is shaded the rest of the day. 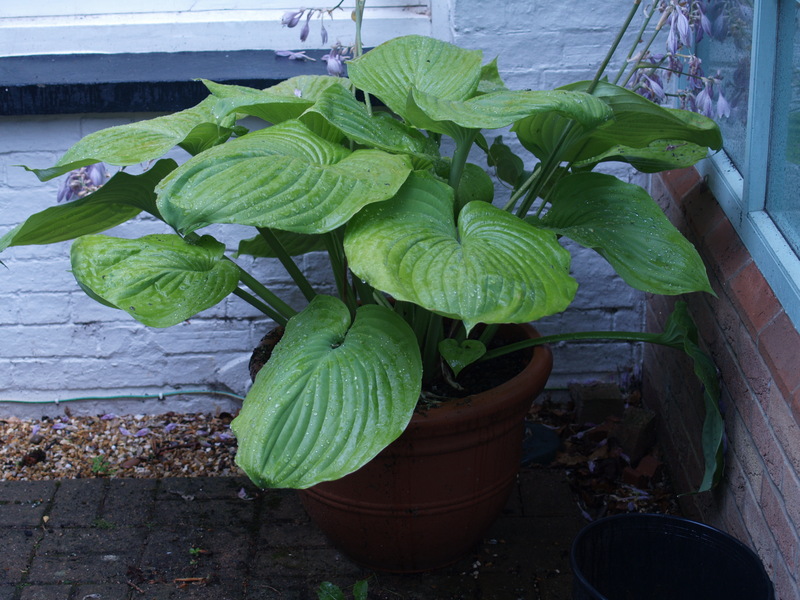 The green thumbs are deceptive, apart from a little water in dry spells, this hosta just grows whatever I do. It doesn’t like high winds very much, especially in early spring when the leaves are still so fragile. Indeed, what a perfect answer. Love the photo of your granddaughter. It was a source of great fun. I wish I had photographed the earth as it cracked the crust to send up the first spikes – it was quite sinister. This year the surface is covered in bark. Well mulched, then. Noble woman !